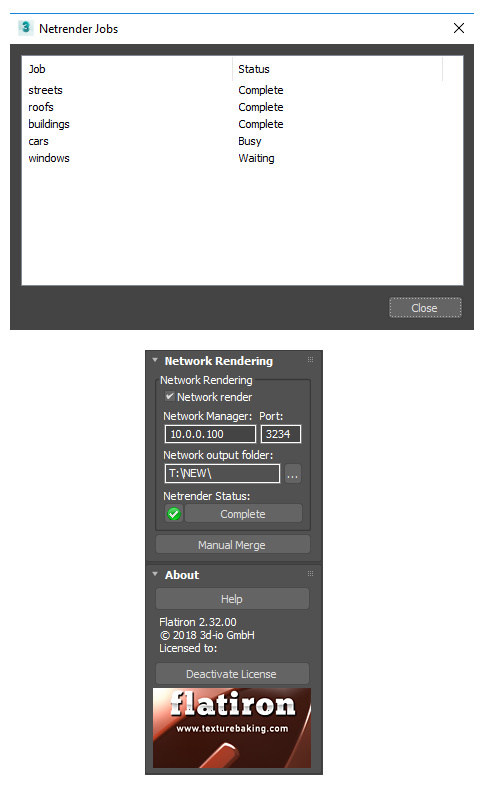 Improved network rendering in Flatiron 2.32! Thanks to the Flatiron community we found some excellent solutions to improve Flatiron’s network rendering capabilities in Autodesk 3ds Max. 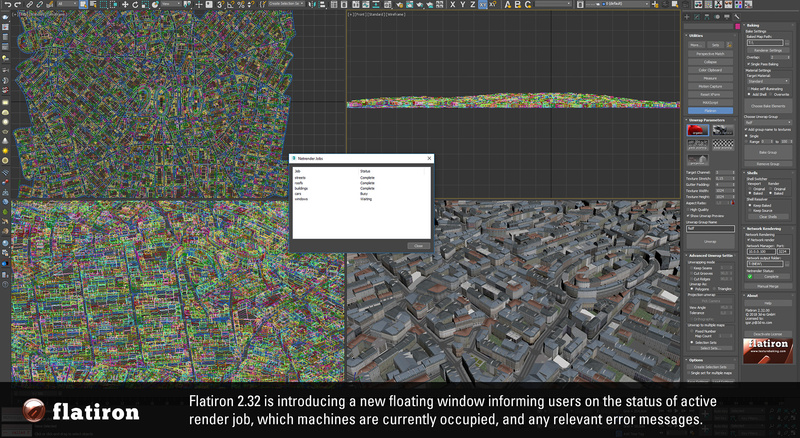 Flatiron 2.32 is introducing a new floating window informing users on the status of active render jobs, which machines are currently occupied with which task, and any relevant error messages.